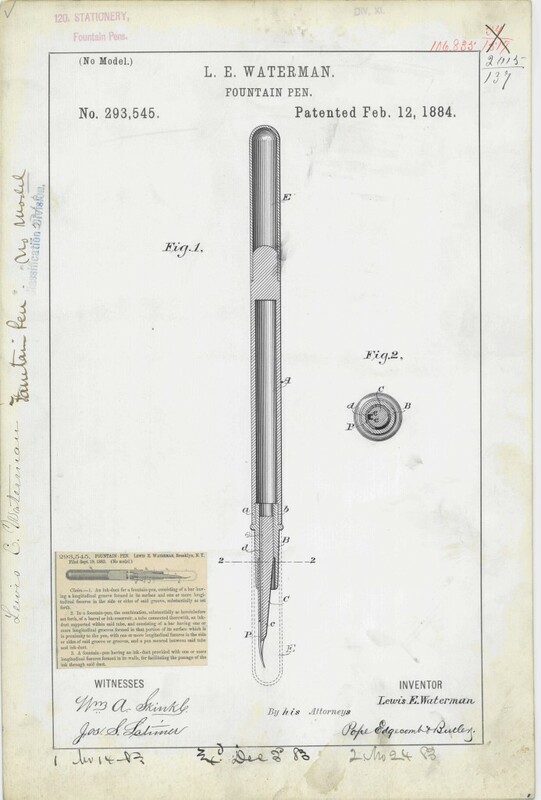 From the US National Archives, a copy of the L. E. Waterman patent from 1884 for the eye dropper pen. How interesting to see the early start of Waterman on record! Thank you to James Hart for providing this patent for sharing.